Adrian Marsh Dance School Milton Keynes provide the lessons and the fun! Always wanted to learn to dance? Whatever your age, we can teach you! Every week day, mornings and evenings, in Milton Keynes, Kempston and Wing, pay as you go. No dance classes on the following dates:, Friday 19th April til Thursday 25th April, Thursday morning 2nd May. You can also download our 2019 timetable here. Whether you are looking for Ballroom, Latin American, Line Dancing, Authentic 1950s Jive, Rock 'n' Roll or Disco Freestyle, Adrian and Sara can teach you to move round the dance floor with ease and bring out your inner "Strictly." If you have never danced before or want to brush up on old techniques, Adrian and Sara are qualified to teach all levels. ( We are IDTA accredited). We offer dance classes in and around Bedfordshire, Buckinghamshire and Northamptonshire - Kempston, Woburn Sands, Newton Longville, Wing in Leighton Buzzard, Winslow and Middleton. Click here to have a look at the closest venue to you. Whatever age, we have classes to suit you. 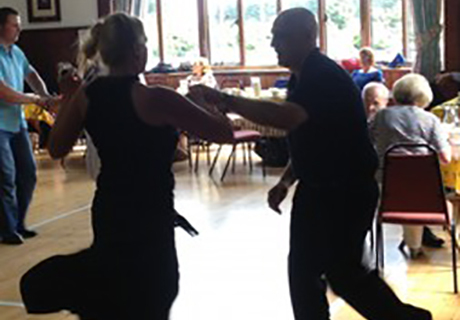 Our classes are suitable for any age, whether you are a young couple looking to learn or a more "senior" dancer looking to refresh your steps and meet new people. 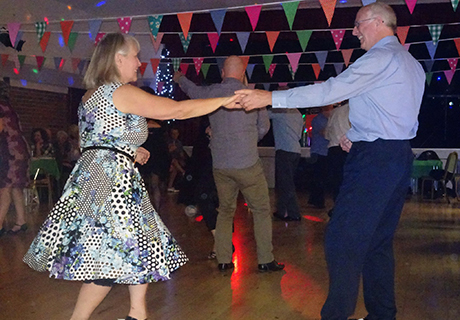 We can cater for any age group, from teenagers to golden oldies. So if you are looking for a really different style of party - or you have a group of friends you want to entertain - contact us for details. See for yourself what you could be doing! Beginners to advanced, children and adults, we have dance covered! Contact us to find out the best class and venue for you and let Adrian and Sara get you dancing! 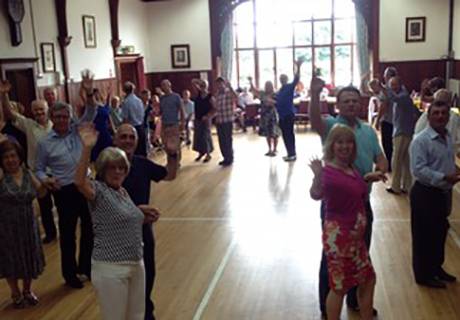 We run social events, dances, weekends away, tea dances - most of our clients have been with us for years - find out why we are the best for dance classes and more in Milton Keynes. We can arrange dance parties for birthdays, weddings,hen groups, family get togethers or anniverary parties. Contact us for more details about your event.. Thank you for making me feel welcome and at ease on my first night. I apologise for any broken toes! We never thought learning could be so much fun. Better than going to the gym! Why Adrian Marsh Dance School? We offer great lessons and classes, but more than that we have the love for dance and enthusiasm that comes from teaching dancing for over 15 years. Husband and wife team, Adrian and Sara, also arrange dance nights, social events, workshops, tea dances, dance weekends away and more. When they are not teaching they are dancing at local Rock n Roll Clubs and vintage 50s festivals! Dance Classes take place in Bedfordshire, Buckinghamshire and Northamptonshire. If you want to learn to dance, have fun and meet new people, there is no better place than Adrian Marsh School of Dance l! !